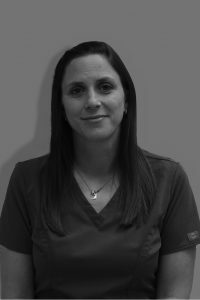 Dr. Brooke Loewenstein received her bachelor’s degree from The College of William & Mary in Virginia and then returned to her home town of Madison to attend veterinary school at the University of Wisconsin. As a long-time horseback rider and instructor, Dr. Brooke’s introduction to lameness diagnosis and treatment came in the equine world. She was a mixed-animal veterinarian in Frederick County for the first ten years of her career, treating horses, cows, alpacas, sheep and goats, as well as cats and dogs. 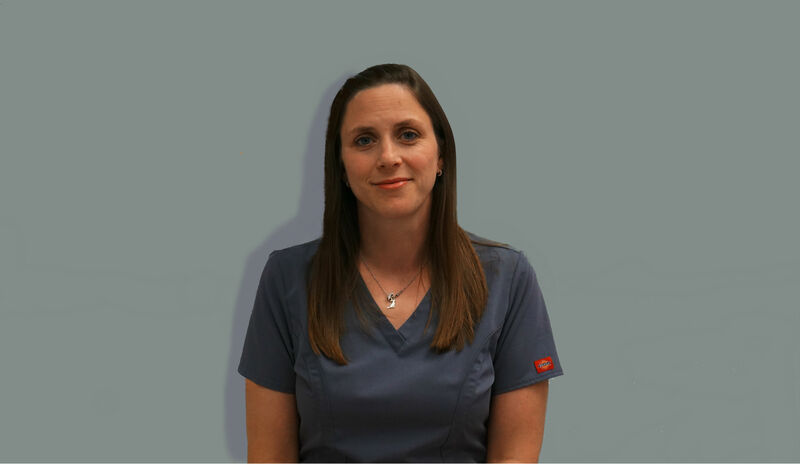 After receiving her Canine Rehabilitation Therapist certification from the Canine Rehab Institute in early 2011, Dr. Brooke has worked in rehab therapy in primary care practices in Frederick and Baltimore counties. She is very excited to be moving into the world of specialty care, although she also continues to see primary care patients in Urbana. Dr. Brooke loves working with “dogs with jobs,” and has considerable experience with police canines, service animals, and search and rescue dogs, as well as schutzhund, hunting, agility, and herding dogs. Neurologic rehabilitation, both conservative and post-surgical, are also passions within Dr. Brooke’s rehab practice. The true story of why she became a CCRT, though, is the story of a wonderful dog named Franklin. As a rescued retriever mix, Franklin had a wonderful disposition, visiting many schools and scouting groups, serving as a tool for client and staff education, and taking all sorts of classes around Frederick County, from obedience and rally to agility. Unfortunately, Franklin was not blessed with good knees and had several stifle surgeries, including being a frequent patient of Dr. Peter’s! Dr. Brooke became a rehab therapist so she could do everything possible to make Franklin’s life as wonderful as he made hers. In memory of him, Dr. Brooke is dedicated to helping dogs and their people that share a bond like she had with Franklin. Her overarching goal in rehab is to determine what constitutes “performance” and “quality of life” for each patient and their family, and work as a team with the owners and other veterinarians involved in their care to achieve the best possible life for the patient. Away from work, Dr. Brooke and her husband Dave live in Frederick with their son Thomas, their ex-agility dog/ball-fiend Border Collie mix Piper, and an overly-friendly Labrador named Murphy who was surrendered to a rescue with–of course–a torn cruciate. The five of them enjoy hiking, wading in the creek near their home, and taking trips to the beach. At home, they enjoy cooking and watching sports with their naughty cats, Phineas and Gus. Dr. Brooke is also a huge Green Bay Packers fan.